We are a distinguished manufacturer, supplier and exporter of a wide range of Storage Ware. These products are manufactured using stainless steel and technically advanced machines. To meet the diversified demands of our clients, we offer these products in several sizes, shapes and designs. These products are acknowledged for their features like durability, corrosion resistance, elegant looks and spacious. The range offered by us includes Russian Canisters, Maharaja Canisters and Coloured Canisters. 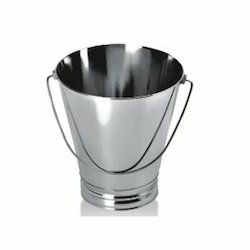 We are among the topmost manufactures, exporters and suppliers of Stainless Steel Bucket. We use high grade materials for manufacturing these buckets. 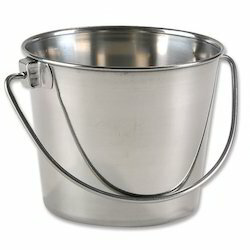 Our buckets are primarily used in hotels, hospitals, homes and catering services. 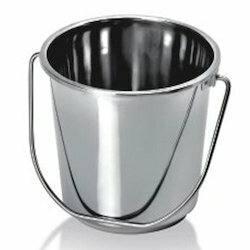 We can customize the size and designs of these buckets as per the requirements of our clients. 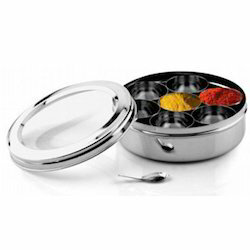 We offer our clients to choose from quality Spice Storage Container Masala Dabba that we manufacture, export and supply. 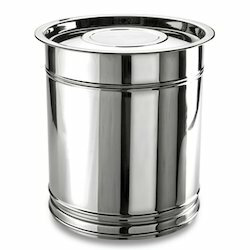 These canisters are made from quality stainless steel. The size and shape of these canisters can be modified as per the specifications given by our clients. We with the help our experts and professionals manufacture and supply wide variety of Steel Storage Containers. These are used by our clients to store spices and food grains. These containers can be purchased from our company at a reasonable price. We use innovative tools and modern techniques to manufacture these products. 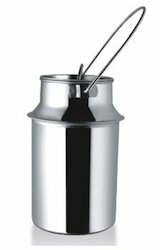 With the help of our professional team we manufacture, supply and export Milk Can or oil can. Our customers can store liquid substance quite comfortably in these cans. We use quality raw materials such as stainless steel to manufacture these. 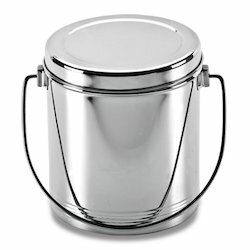 We are among the well known suppliers, manufactures and exporters of Stainless Steel Milk Pot. Customers can choose from wide range of designs and shapes of these pots. Our company use stainless steel of superior quality to manufacture these items. Our customers can purchase these milk pots directly from our company. We offer Steel Joint Bucket is a manufacture & export good quality stainless steel buckets with cover. These are available in variety of sizes for end-users convenience. The handle attached is convenient for lifting and are strong & durable. Available in various sizes and volumes, we offer our range of bucket in most reasonable prices to suit our clients’ pockets. To cook & store gravies & host of dishes that one requires in kitchen Stainless Steel Stock Pots comes very handy as they can stock up basic gravies/curries, cook them & store them. 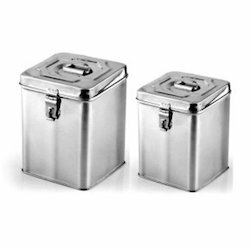 We offer Stockpots in different sizes to adapt any kitchen cooking & storage needs. These have thick bottom which ensures that even on continuous cooking, the ingredients never get spoilt & the high walls ensure that the taste & aroma remains intact & locked while cooking. 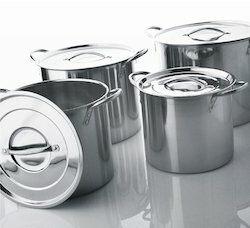 These Pots are a must for any professional cooking. We are one of the recognized manufacturers, exporters and suppliers of storage tank Pawali Storage Tank. Our clients can buy these items from our company at an affordable price. These are available in various sizes. These are mainly used in homes, catering industries and in hotels. We use stainless steel of high quality. Looking for Storage Ware ?